Chris Carr, a real estate agent in Sydney’s northwestern suburbs, has had to convince sellers to drop prices on at least six homes in the past two months to complete transactions. Such price cuts sent Sydney dwelling values 1.4 percent lower in November, the most in five years, as Chinese demand slows, banks raise mortgage rates and buyers balk at record home values. The first open inspection of a home now attracts on average about six groups of prospective buyers, compared with as many as 30 three months earlier, Carr, an agent with Gilmour & Orley, said in an interview. 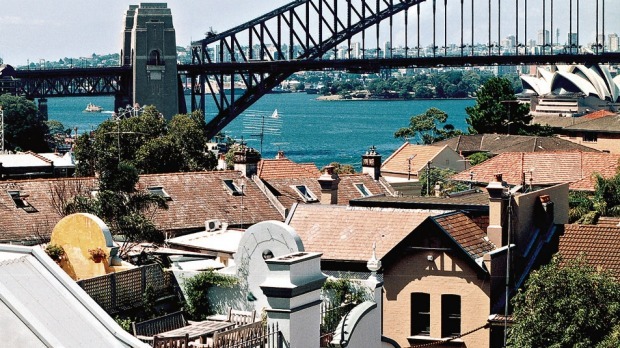 The drop in prices is taking some steam out of three years of price gains that have made Sydney one of the least affordable places in the world to buy a home. Housing prices in Australia’s most populous city have climbed 44 percent in the past three years, driven by mortgage rates that are close to five-decade lows and buying by foreigners including those from China. Across the nation’s capital cities, values fell 1.5 percent in November as regulation forced banks to tighten lending and increase mortgage rates, property researcher CoreLogic Inc. said on Tuesday. Melbourne led price declines, with a 3.5 percent decrease. The 1.4 percent slide in Sydney was the biggest drop since December 2010 and the first decline since May. “Booming house prices growth in Sydney, and to a lesser degree Melbourne recently, will not be repeated next year," Andrew Wilson, a senior economist at real estate website Domain, said in an e-mail. Chinese buyers, who underpinned a rally in global property markets from San Francisco to Sydney since 2011, are treading more carefully after the devaluation of the yuan and an economic slowdown at home. Chinese demand for Australian property is waning, Credit Suisse Group AG said Nov. 3, estimating that their appetite for global property could drop by 30 percent. In California, international buyers are accounting for the smallest share of home sales in at least eight years as prices climb and investors from China rein in purchases, the state’s realtors group said in October. In Sydney, weakening demand for homes has been reflected in nine weeks of sliding auction clearance rates, the longest streak of declines. Successful auctions in Sydney fell to 56.3 percent, a three-year low, separate CoreLogic data showed Monday. That compares with more than 90 percent in April. One-third of homes in the city were sold through an auction in the 12 months to Sept. 30, according to CoreLogic. Kate Lumby, a Sydney home auctioneer for the past 15 years, said she has seen her success rate fall to 65 percent to 70 percent in the past three weeks from 85 percent before that. Lumby, who works with real estate agents, said the number of registered bidders at an auction has fallen to less than 5, on average, from more than 10 a few months earlier. Lumby, who conducts about 12 auctions a week, mostly on Saturdays, said her success rate has only fallen back to her 10-year average, an indication of the frothy levels scaled by the city’s housing market. Australia & New Zealand Banking Group Ltd. said in a note Monday that “strong underlying demand” is likely to contain any price declines in the major capital cities to less than 10 percent in the absence of an economic downturn. “Despite the headwinds facing the housing market through the second half of 2015, we see little significant downside risk to the housing market outlook in 2016,” ANZ economists David Cannington and Daniel Gradwell wrote in the note. In a sign of still-strong buyer demand, 106 of 111 yet-to-be-built apartments collectively valued at about A$160 million ($116 million) in Chatswood were sold on Saturday within three hours, according to Domain, an online real estate website. Chatswood is about 10 kilometers north of Sydney’s business district. Sydney home prices are up 12.8 percent in the past 12 months and in Melbourne, they have gained 11.8 percent. Still, it’s taking longer to sell some homes. Carr, the real estate agent, said he could sell homes in the first week of listing four months earlier. Now, it can take him an average of six weeks.